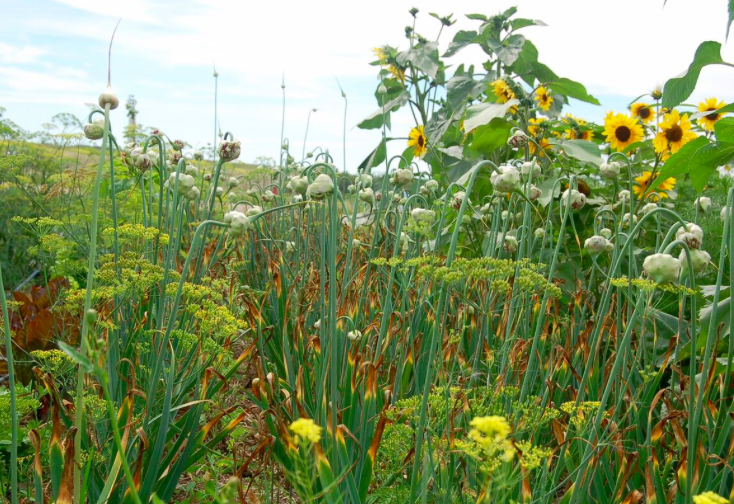 Q&A with Annette: How does your (community) garden grow? Sarilia’s community garden is a favourite spot for many residents to socialize, tend to their flowers, veggies and fruits, and learn from one another. We sat down with Sarilia resident, Annette Horvath, to learn what she—and others—grew this year, what flourished, what didn’t, and what she’s learned from her fellow green thumbs. 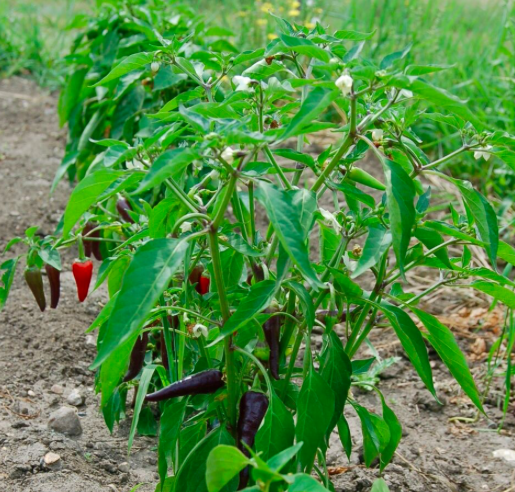 What did you plant in the community garden this year? I planted lots of flowers—mostly zinnias—and lots of vegetables too: lots of carrots because they can keep for a long time, peas, potatoes, beans, corn, onions, garlic, the usual. Garlic is always such a nice treat in the garden because it keeps for a long time. It takes a little longer to grow. You plant it the season before (at the end of the season) so it’s always amazing to see what comes out and it’s so much better to have fresh garlic from your garden than buying it from the store. The texture is so creamy and the flavour is so much better. When you have a vegetable soup from your garden, it’s just amazing how much flavour is in the vegetables—it’s so good. I also planted a whole row of beets. 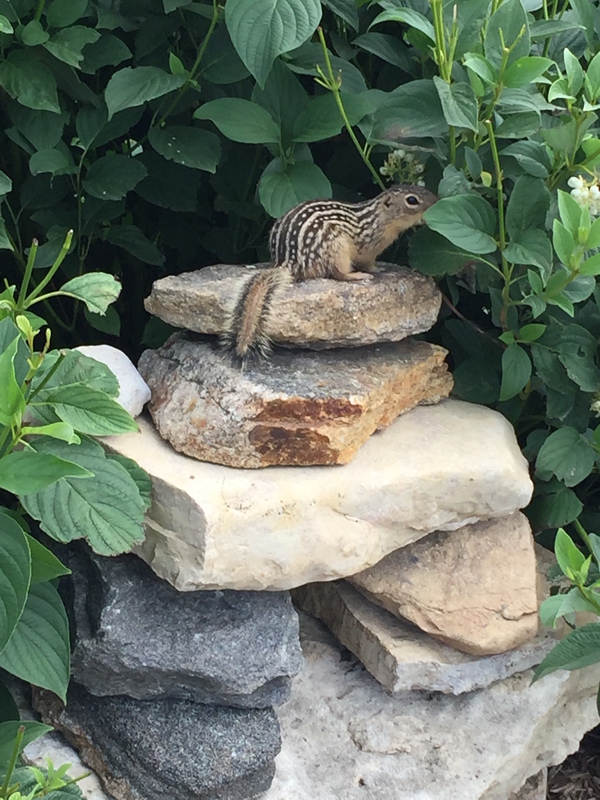 We had a few issues with some chipmunks—they are really fat in our garden because we feed them very well. They stole all my beets! (laughs) Just mine. Other people didn’t have problems with that. Raspberries were a big thing. My raspberries did very well this year because of the rain. It was really nice to have fruit in the garden. Pretty much everything did quite well. Everybody had a good harvest of peas, beans, carrots, onions, beets, and all the things they planted. One of our neighbours always plants sunflowers and they’re such a nice addition to the garden too. They’re just such a happy flower and they do so well. 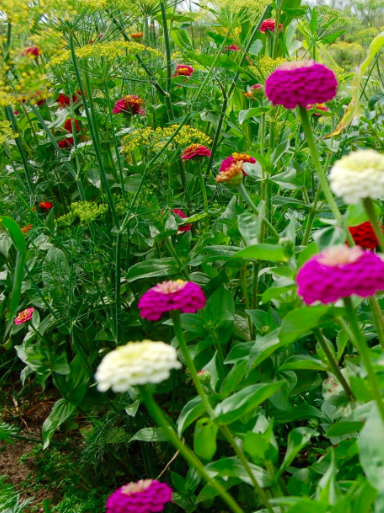 What are some of the benefits of community gardening? One of the benefits is that a lot of sharing takes place. One of our neighbours had grown an abundant amount of kale. I didn’t know this, but when you pick kale, it grows back. You don’t pick it from the root, so it keeps on giving back, week after week. She had so much more than she could use, and luckily the chipmunks didn’t like the kale, so they stayed away. We tried making so many different things—like salads and kale chips, and I juiced a lot and now I’ve frozen it to use it for smoothies. We also have some extra room in the garden that nobody has claimed yet, so we grow pumpkins and potatoes, and we share them with our neighbours if there’s extra. And of course zucchini. There’s always more zucchini than we need, but that’s kind of nice. Have you learned any lessons from your neighbours who you garden alongside? Always. You’re always learning, because nothing is ever the same. It’s always different from year to year and it’s so interesting to find out what other people are growing that’s working for them. One of our neighbours plants a lot of garlic, tomatoes, and hot peppers. It’s always interesting to see the different coloured peppers in his garden—from green, orange, yellow, red and even a very dark aubergine colour. I imagine a lot of them are really hot. He’s even grown habaneros (not in our community garden, but at his house). So it’s like a salsa garden where you grow all the ingredients yourself to make an amazing tomato sauce or salsa. Have you planted anything new this year that you’d never tried before? 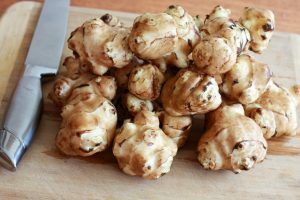 We planted Jerusalem artichoke potatoes, which we’ve never had before. It’s like a gourmet potato. They don’t look like a traditional potato plant. 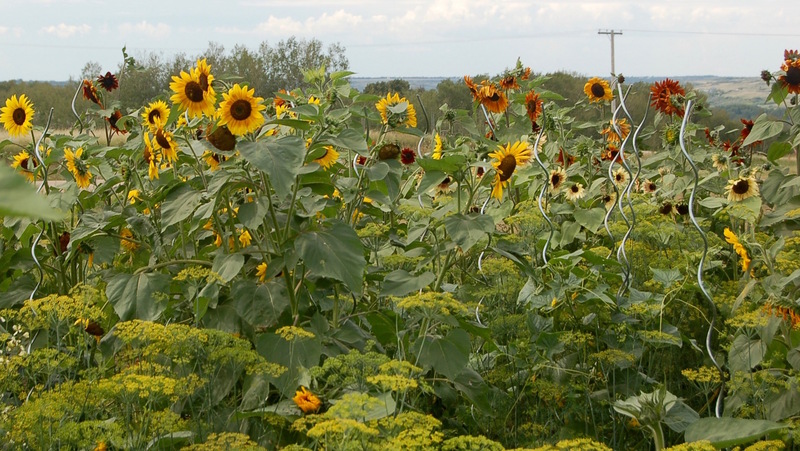 They grow into this beautiful, tall flower that looks similar to a sunflower, but they’re small flowers. They grow over six-feet tall. The idea is to harvest the tubers after the frost, so that they’re a little bit easier to digest. It must bring out the sugars in the tuber. We haven’t tried them yet, because we haven’t had very many frosts yet, but we’re going to try them soon. You can roast and cook them like a potato, so we’re looking forward to trying those. I talked one of my neighbours into growing zinnias. She tried out different varieties than I did. They’re very hardy flowers and they’re beautiful. To me, they’re a little bit like a gerber daisy, but they have vibrant colours and come in different varieties. Some are really big, some are like pom-poms, and they flower all summer long—so that’s a really nice flower for the garden. And the bees really are attracted to them. 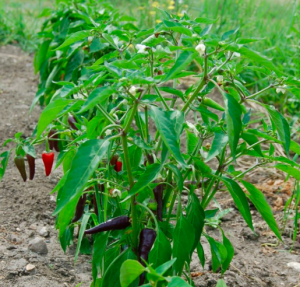 Do you have any favourite recipes for your garden veggies? A lot of times, if I’m making a vegetable soup, I make it up as I go. I know some people really like recipes because they get consistency and they make the same thing over and over again, but a lot of the time I just clean up a whole bunch of vegetables, throw them in a pot, and see what comes out! 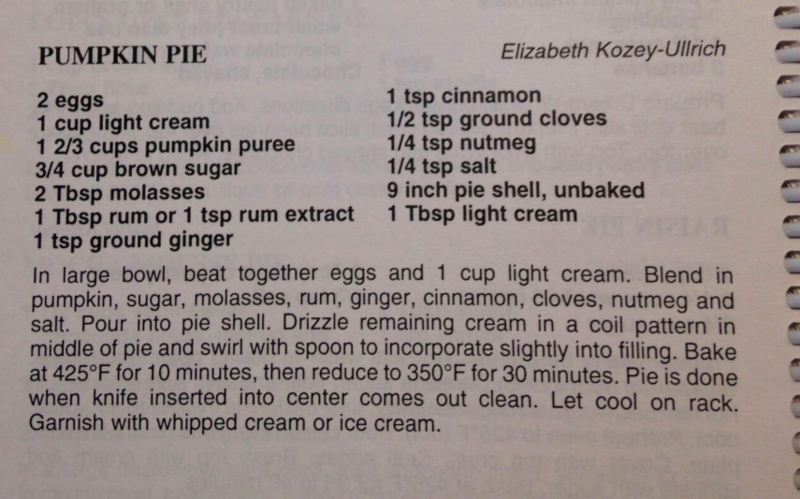 For pumpkin pie I usually find a recipe, and I don’t normally use the same one all the time. I check my old church parish books—I’ve got a lot of of old ones—because those are tried and true.